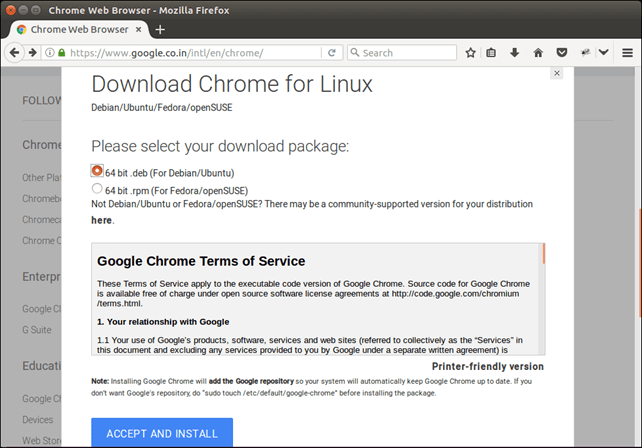 How to Install Chrome on Ubuntu 16.04 LTS? Chrome is a web browser, which is designed and developed by Google. It is cross-platform and written in C++ programming language. Google released its first version in 2008 and now it is most widely used web browser. 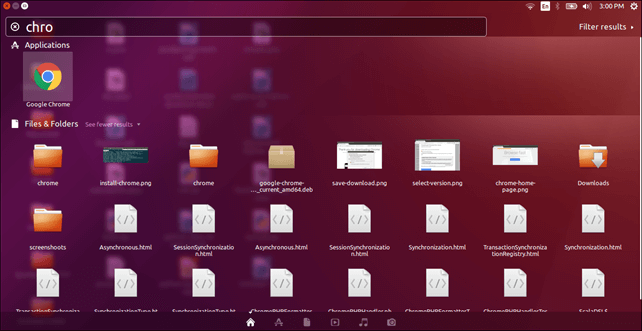 In this tutorial, we will install it on Ubuntu. The installation process contains the following steps. Visit the official site https://www.google.co.in/intl/en/chrome/ to download the Chrome. The official site looks like the below. Click on Download button, it will open a pop up, where we need to select installation platform. We selected Ubuntu, see the screen-shot. Click on ACCEPT AND INSTALL. Use the following command to enable repository that helps to install stable release of Google Chrome. Our downloaded file is stored in Download folder, use this command to install run the file. 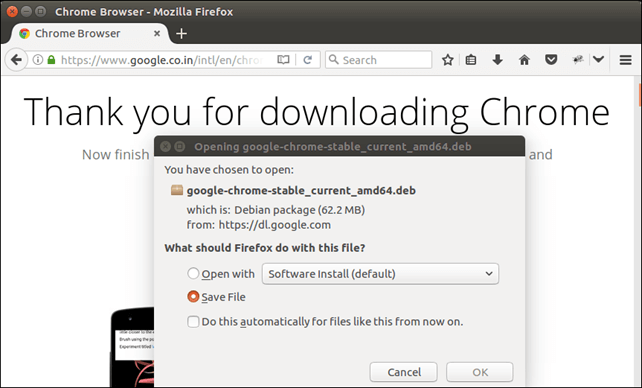 After installing, we can access Chrome from the Application Manager like as we did below. Well, we have successfully installed Google Chrome in Ubuntu. Now, we can use it to browse INTERNET.